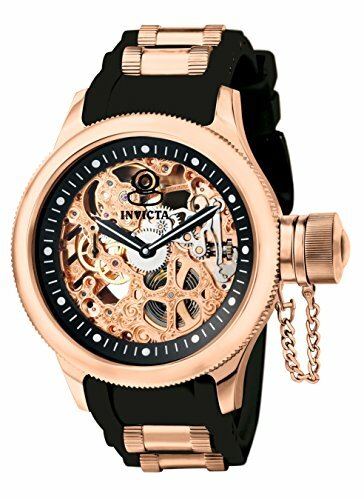 The Invicta Men's 1090 Russian Diver Mechanical Skeleton Dial Black Polyurethane Watch is a functional fashion statement all on its own. Its stylish skeleton dial design adds a trendy feel to your collection. 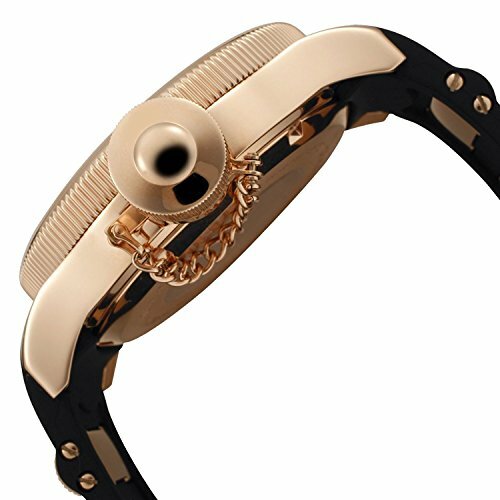 This watch begins with a prominent 52mm 18k rose gold-plated stainless steel case with a rounded rose gold-plated stainless steel bezel with a textured coin edge. The right side of the case features a large crown with a screw-down cap attached to the case with a link chain. 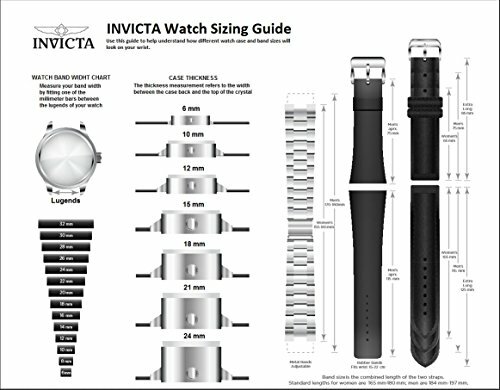 These elements surround a revealing skeleton dial, which is protected by a flame-fusion crystal and features a black inner bezel offering white second and hour markers and black hands powered by mechanical hand-wind movement. 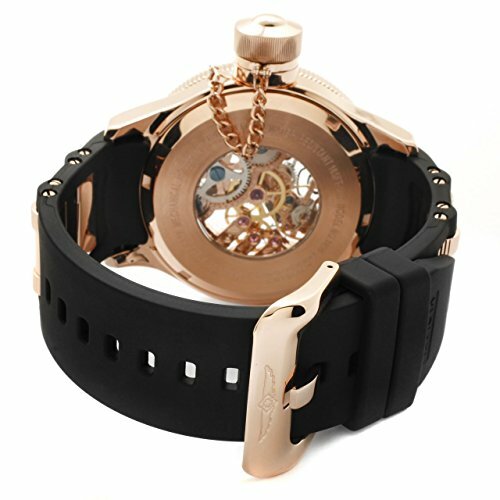 A black polyurethane bracelet with rose gold-plated stainless steel barrel accents straps this watch to the wrist, while a buckle clasp ensures its secure placement.